CHC Addiction Services pursues and maintains accreditation and licenses in a number of areas. Specifically, we take part in the accreditation process for the Joint Commission on Accreditation of Healthcare Organizations, the industry leader. 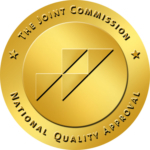 JCAHO symbolizes excellence, experience and professionalism. Our commitment to continue this voluntary accreditation demonstrates our commitment to providing quality care to each of our patients. In addition to these licenses and accreditations, CHC Addiction Services is an approved provider of Continuing Education Units by the State of Ohio CSWMFT Board to provide Counselor (#RCX 089008) and Social Worker (#RSX 049501) hours. Community Health Center is an approved provider of Recognized Clock Hours (RCHs) by the State of Ohio Chemical Dependency Professionals Board (PID # 50-18188).